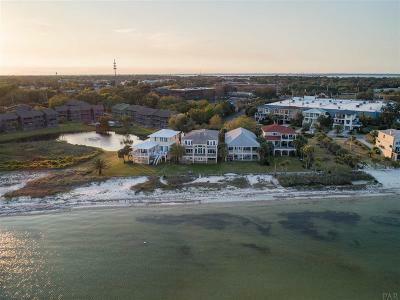 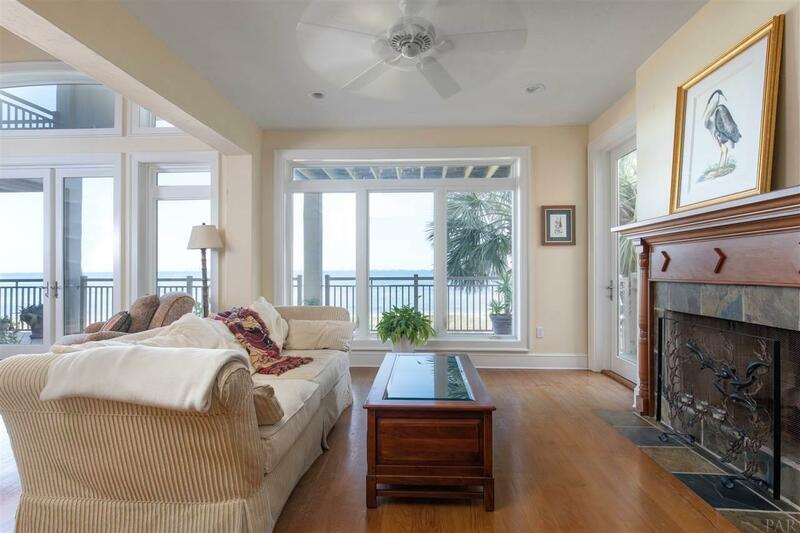 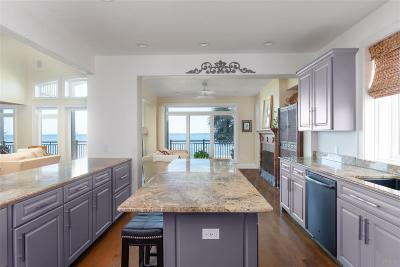 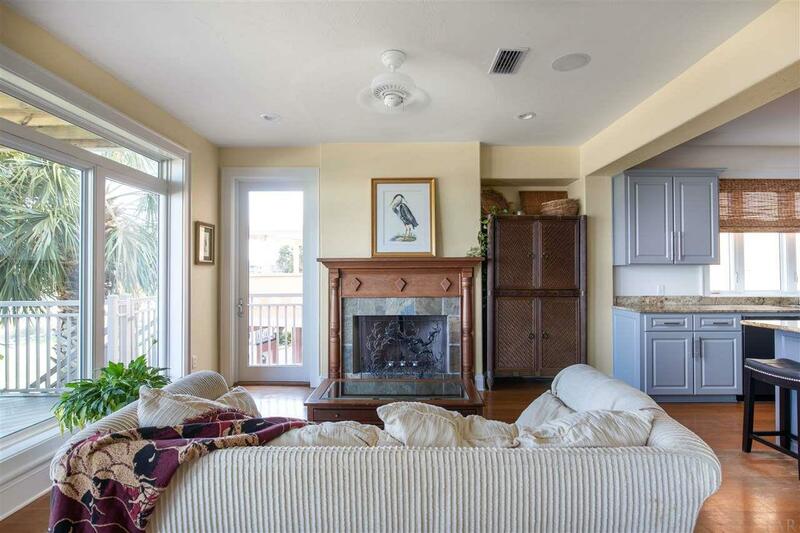 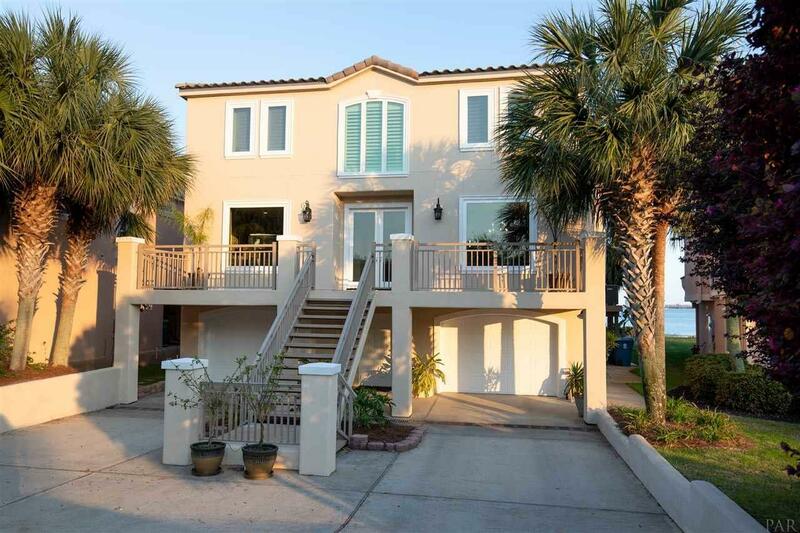 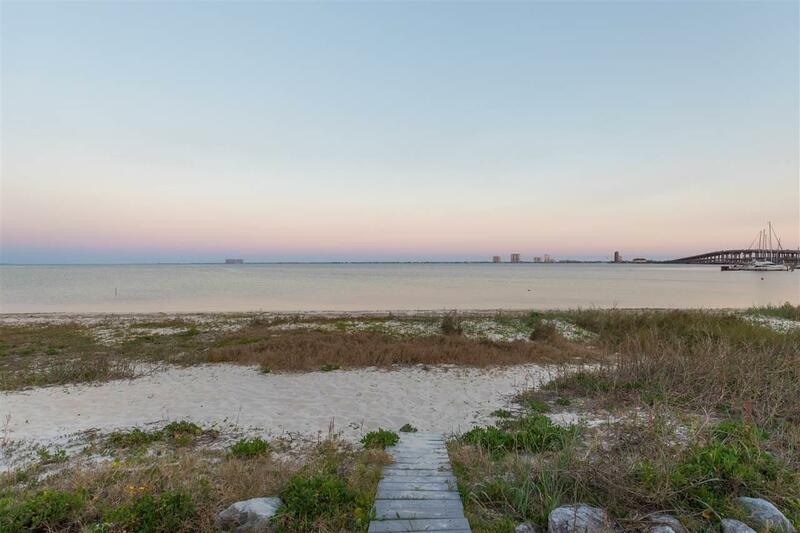 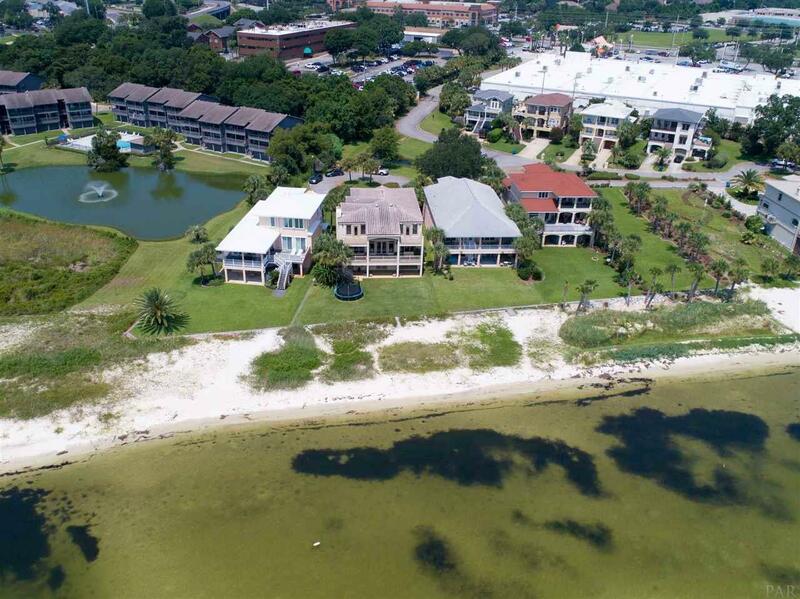 Interested in an elegant and beautiful waterfront home with multiple balconies that overlook Santa Rosa Sound? 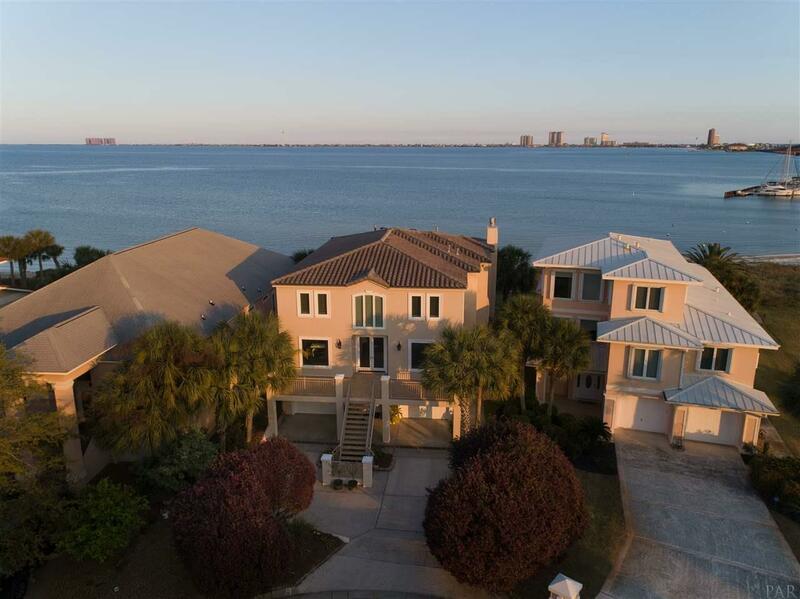 This one is located in Gulf Breeze proper in Eventide, a desirable gated community. 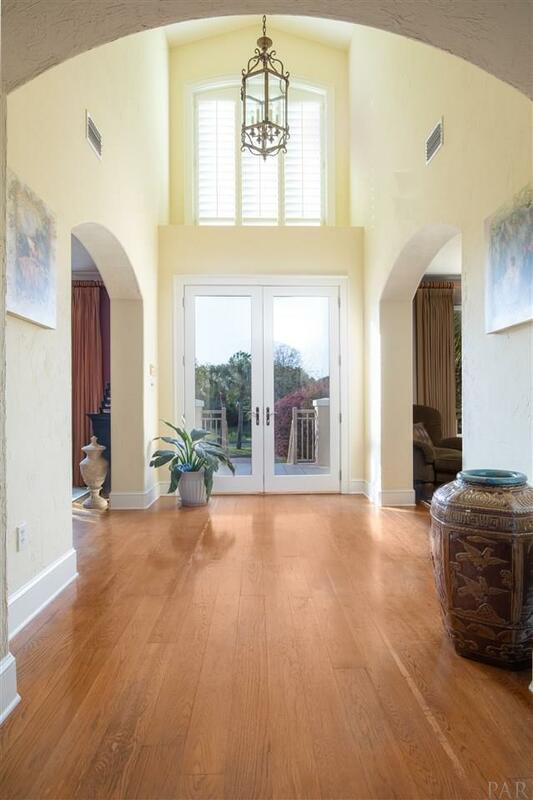 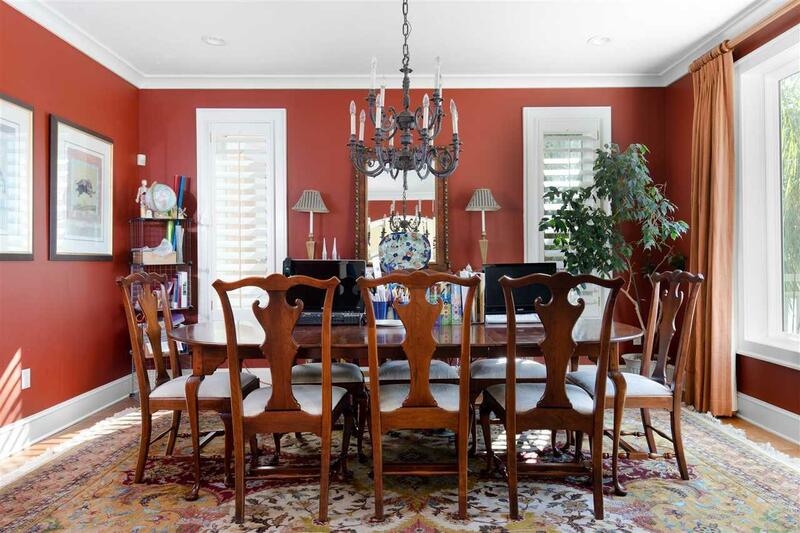 The high ceilings of the grand foyer is flanked by a formal dining room on the left and office on the right. 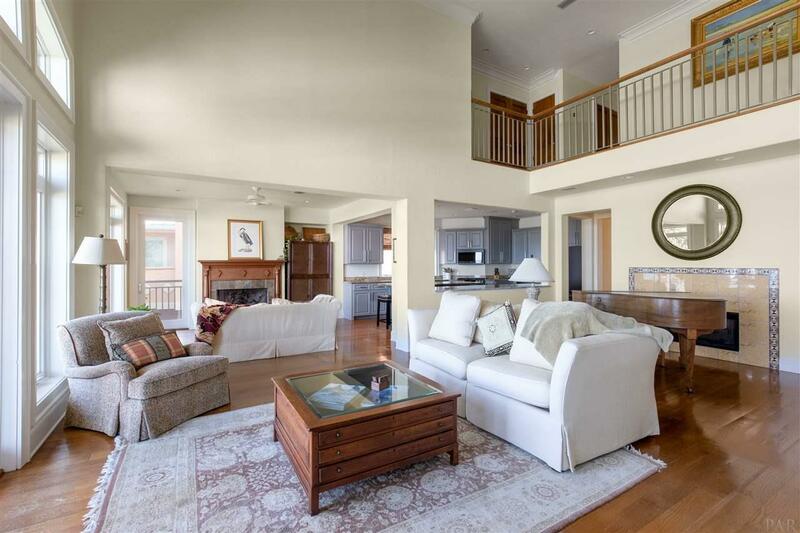 The home flows into an expansive two-story great room, with a media room on one side and family room on the other. 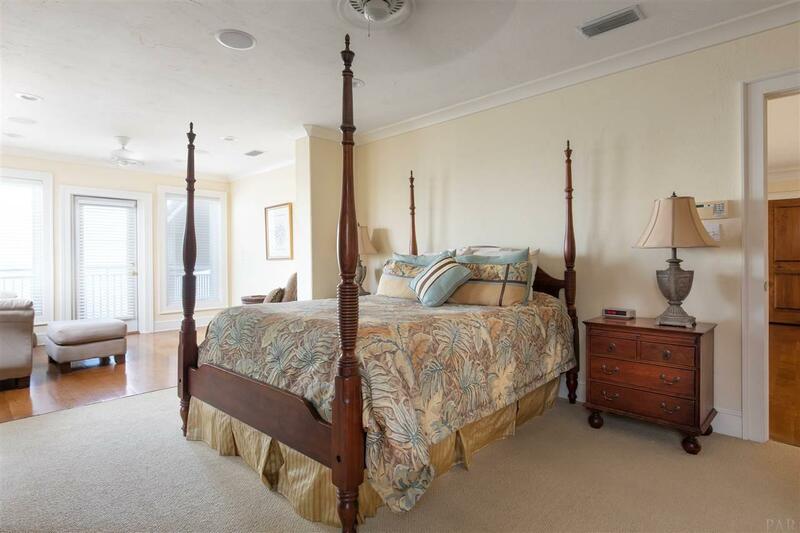 These rooms view the sound through the wall of windows and provide access to the full length balcony. 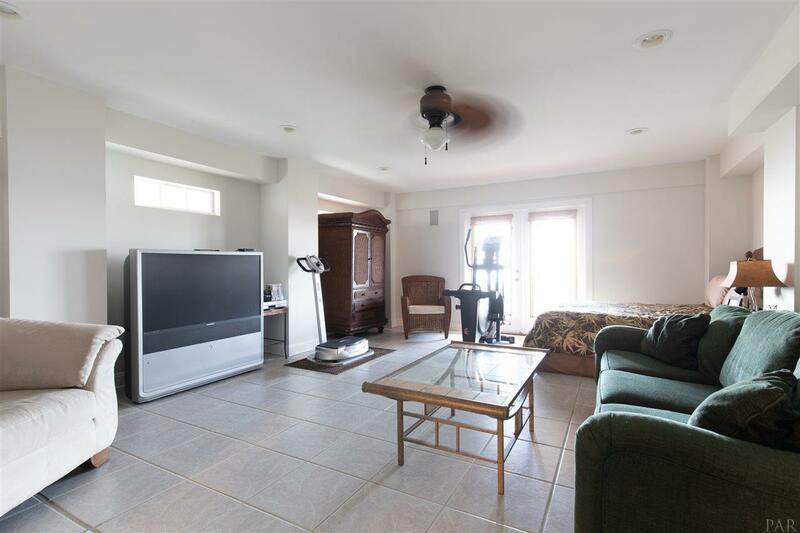 Significant remodeling and updating have been completed in the past year in several areas of the home. 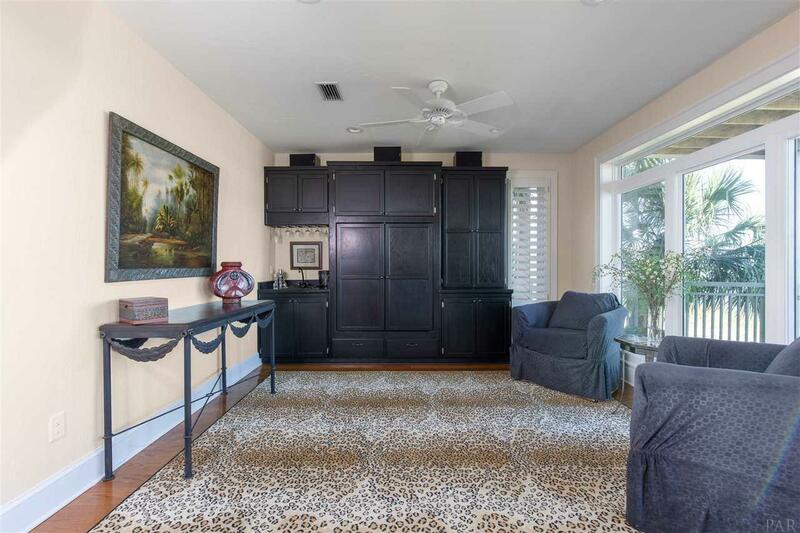 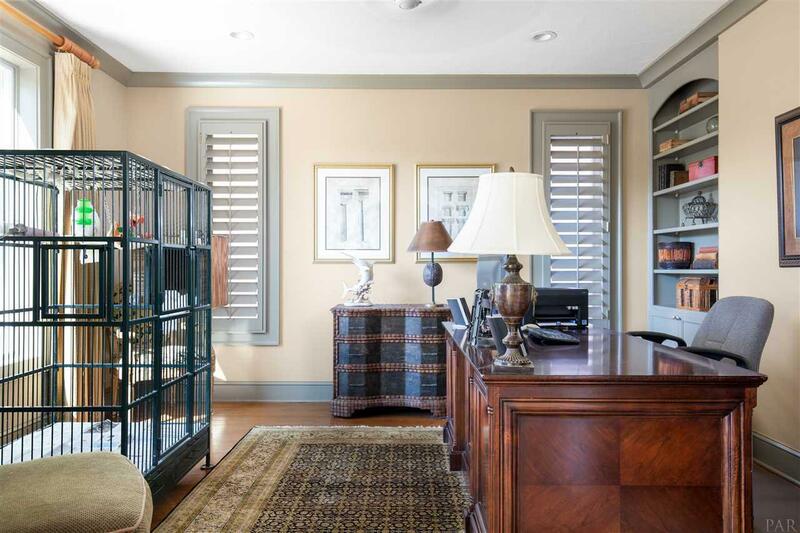 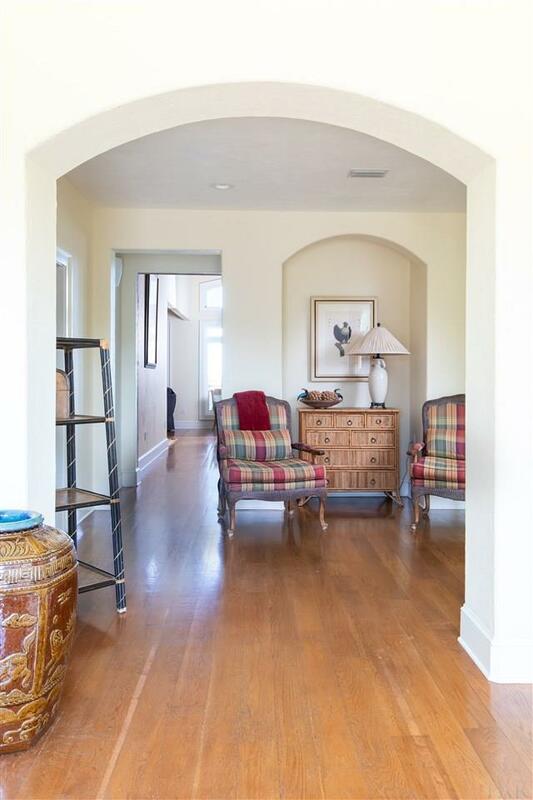 Luxury home details such as the over sized baseboards, crown molding and hardwood floors are found throughout. 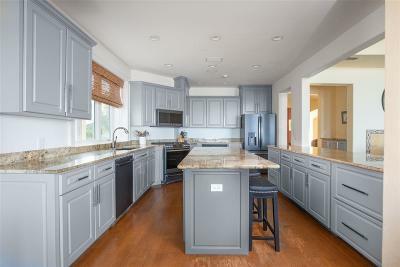 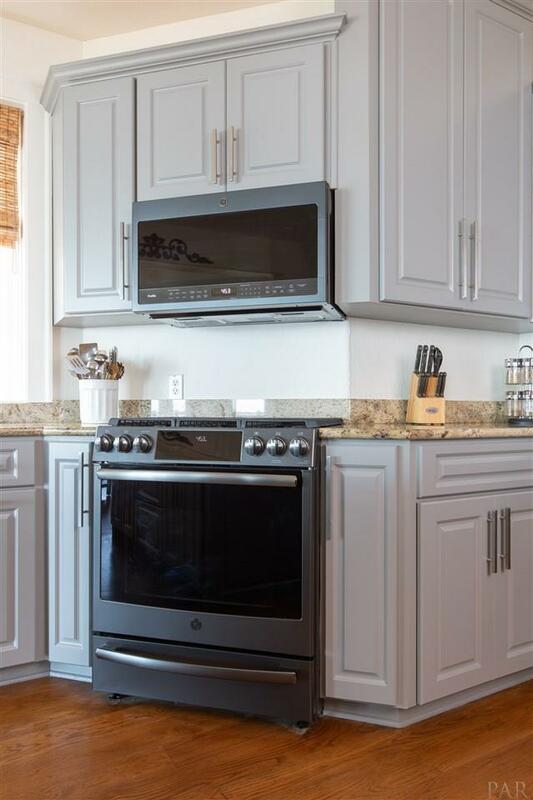 Just remodeled, this upscale kitchen features granite counter tops on the over sized island, new slate appliances, large island with seating, and the abundant oak cabinetry has been refaced and painted a beautiful gray. 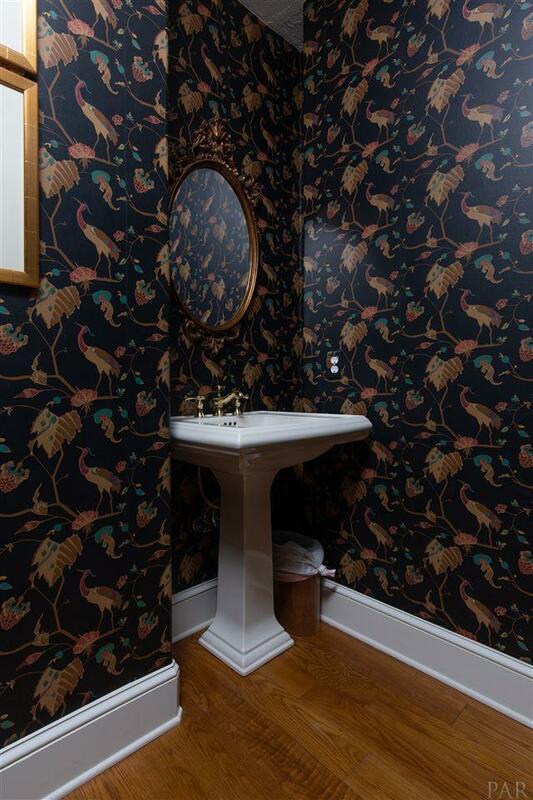 It&apos;s dramatic! With entertaining in mind, the 1/2 wall counter top provides easy conversation and as a perfect pass through for food and drink. 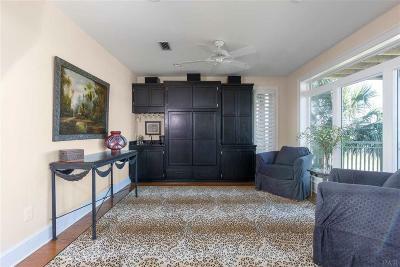 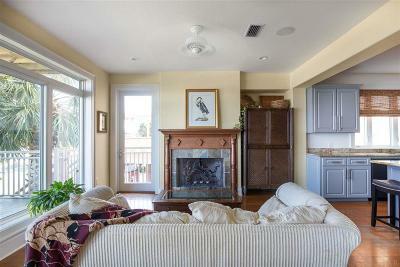 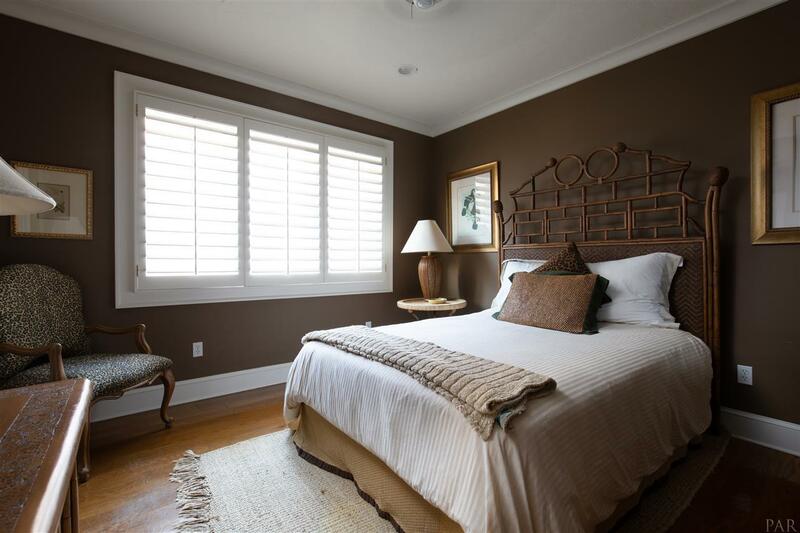 Upstairs, retire to the master suite with a sitting area, 2 walk in closets and a private balcony viewing of the Sound. 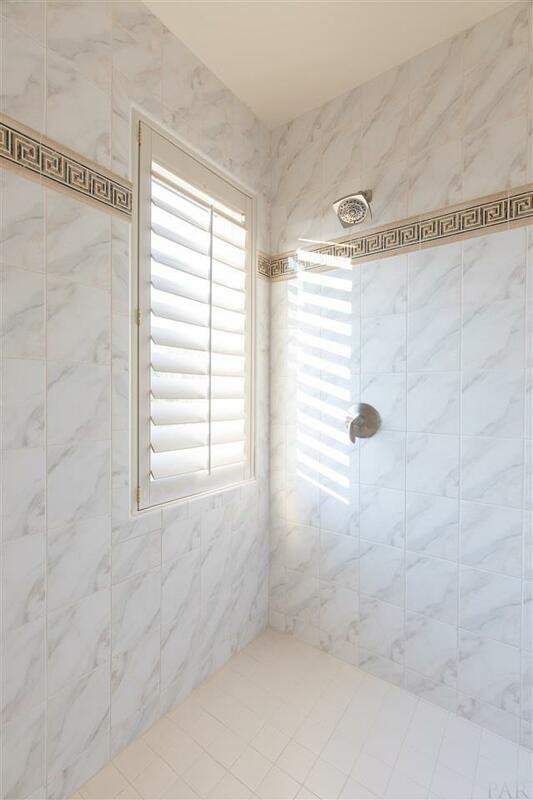 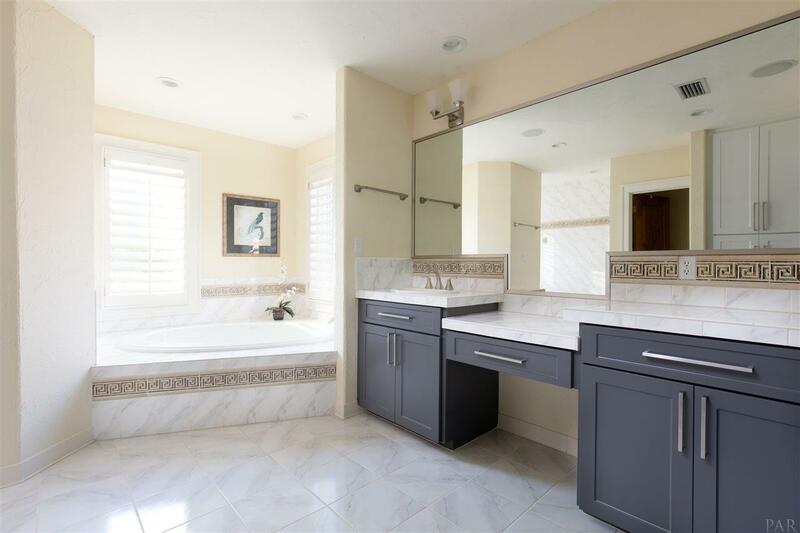 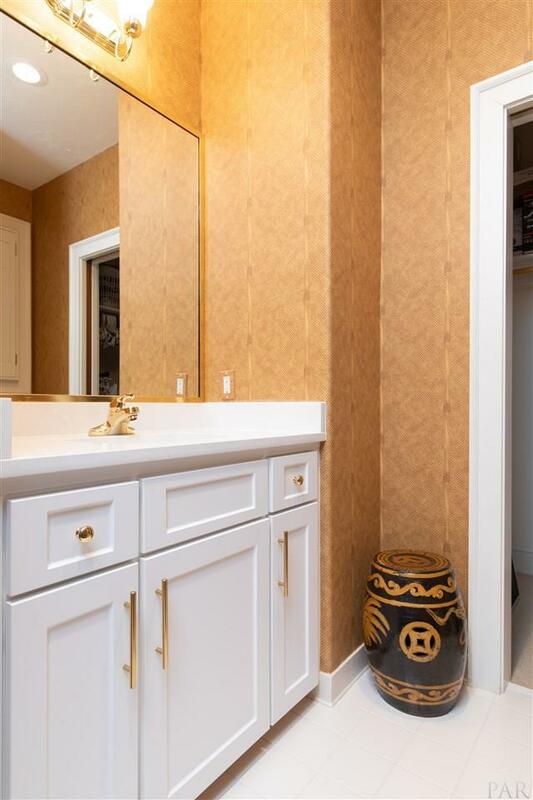 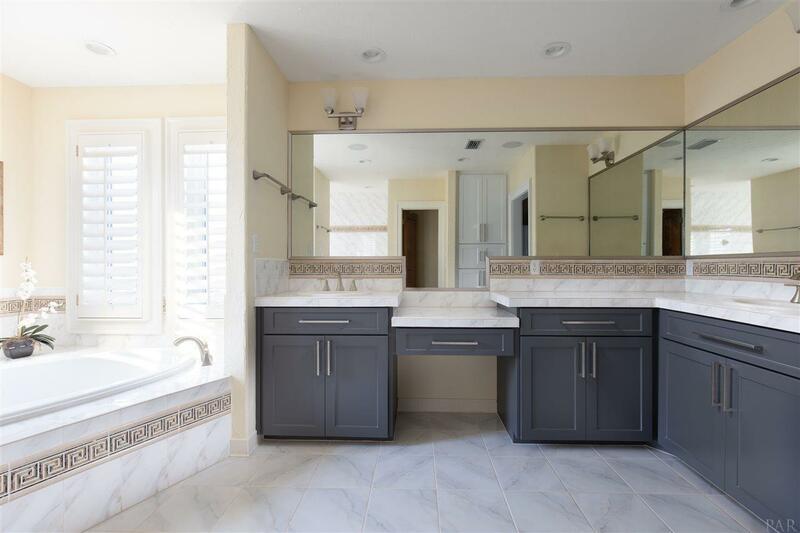 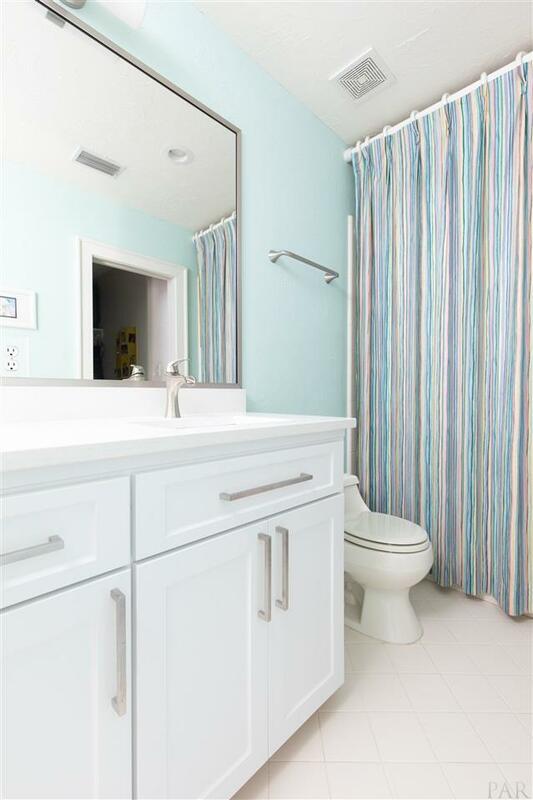 The large master bath features a long dual vanity, an over sized garden tub and separate walk-in dual head shower. 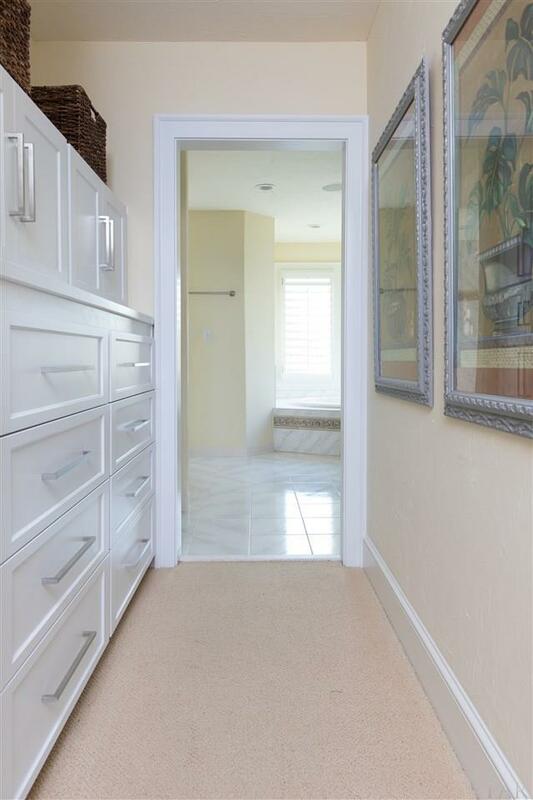 Three additional bedrooms also provide en-suite bathrooms with new cabinet refacing, quartz counters, hardware and walk-in closets. 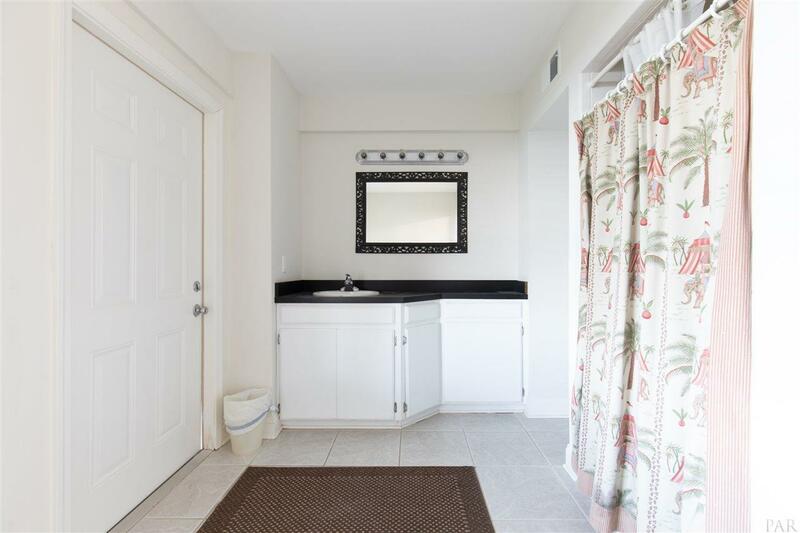 The ground floor consists of an extra large two-car garage with additional storage room and bonus suite that includes tile floors, a fifth full bath, and additional washer/dryer connections. 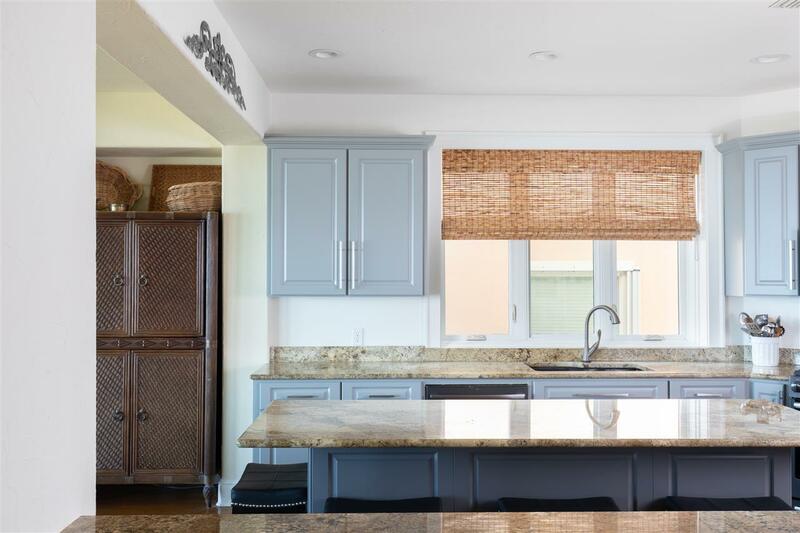 Other details include a three-coat stucco system, a smart Nest Thermostat system and whole house water filter. 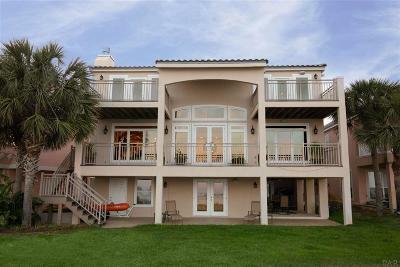 The large landscaped back yard has a white sand beach. 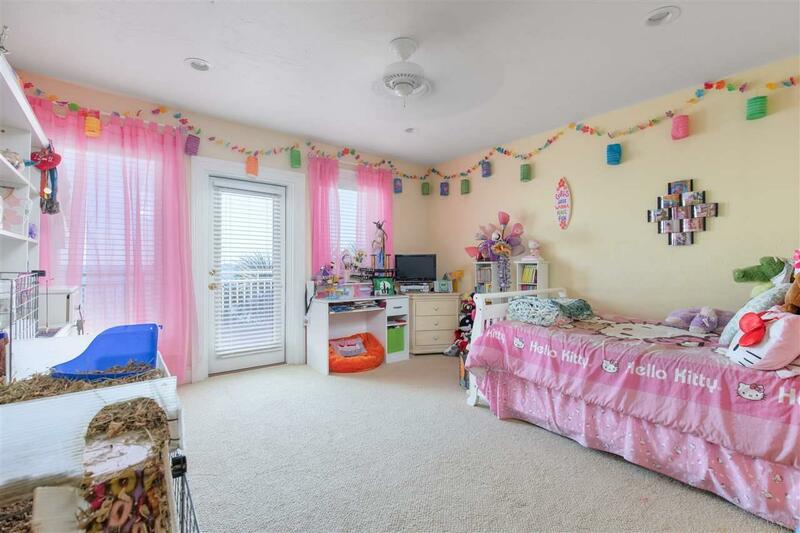 Minutes from the beach and blue-ribbon schools, this home is a welcome respite for relaxing, recreation, and privacy.